If you tinker about with electronics, or if you're undertaking a project that requires lots of... stuff... there is a place online that will probably have exactly what you need, and then some. We were asked to check out RS Online, one of the world's leader suppliers of electronics, components, and test equipment that has been keeping both pro and amateur engineers stocked up for 75 years. But we're not engineers. True dat. So when we were asked to pick a few items from the site's intimidatingly large catalogue, we thought there wouldn't be anything to snag our interest. We were wrong. Check out the site and you'll see that as well as supplying circuitry and all manner of chips and bits that we could never understand, there are also sections for the likes of computing (laptops, tablets etc.) and photography. Seizing the opportunity to nab some useful items to help in our current development of our YouTube channel, we selected a compact tripod, a lavalier microphone, and also a LED lamp – all with the intention of using them when filming video reviews. From ordering the goods to having them arrive at Test Pit Towers took about three days all told. An essential bit of kit if you plan on filming outside on a windy day, the microphone is a finely crafted thing with everything you need to get recording straight out of the box. 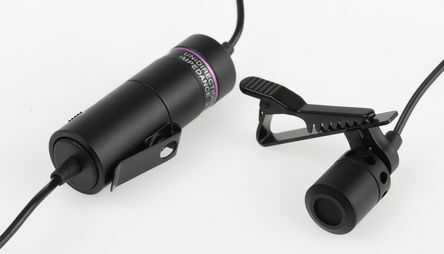 The microphone head is small and discreet, with a detachable tie clip. Further down the long cable is a battery compartment (batteries included) which can be clipped to your belt, and which features an on/off switch. After that is the standard one-ring headphone plug along with a larger adaptor for attaching to bigger equipment. It works excellently well, with the majority of the vocals on this video being recorded on it. A full-sized tripod – one that raises the camera up to at least your chest level – is also a very handy thing to have... if you can be bother to lug it about. This one from HAMA is great as not only can it reach that height, but is folds down small and light enough to slide into your day pack or clip on the outside of a bag. 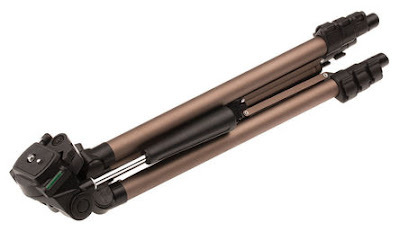 All three legs are telescopic, so there is an unlimited amount of adjustment you can give it, as well as a quick release plate for your camera or camcorder, and fold out arm. It comes with a carry case (with a strap), and seems to be strong enough to hold aloft even heavy camera rigs. Trust us, filming indoors can be a pain in the arse – especially in the winter when very little natural light floods in through the windows. 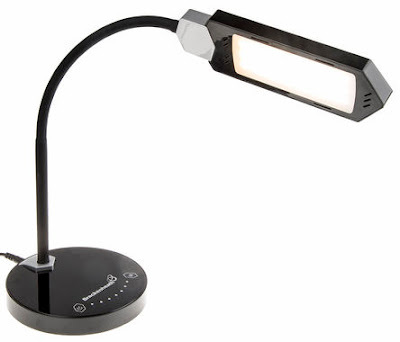 To that end, you need some lights, and this adjustable LED desk lamp is both bright and versatile. The unique thing here is that not only does it feature a touch-sensitive dimmer on the base, but you can also change the light temperature from warm white to daylight. And of course the adjustable neck means you can get it right to where you need it the most. Oh, and it features a USB port on the base, to charge your phone and that. Nice touch. These are just a few items we selected with a very targeted project in mind. If you have a project, from building yourself a computer to selecting a new lens for your camera, RS Online should be your first port of call.